Pooling sputum specimens is one potential strategy for reducing the cost of using Xpert MTB/RIF for the diagnosis of pulmonary tuberculosis. We sought to compare the sensitivity of two alternative method of pooling. Patients being assessed for TB, whose initial sputum was Xpert MTB positive, were recruited and their sputum specimens were pooled for analysis with sputum specimens that were Xpert MTB negative. Two alternative pooling strategies were employed: one in which the concentration of sample reagent (buffer) was maintained at 2:1 (standard), in accordance with the manufacturer’s instructions, and another in which the concentration of sample reagent was reduced to 1:1. We tested 101 Xpert MTB positive sputum specimens. Among these, 96% of valid test results (95% confidence interval 89% to 99%) were positive using the “standard buffer method”. Using the “reduced buffer pooling” method 94% of valid test results (95% CI 87% to 98%) were positive. McNemar’s test for the difference in paired proportions was not significant (P=0.56). We have confirmed that pooling sputum specimens is a valid method of reducing the cost of testing sputum using Xpert for detecting pulmonary tuberculosis. Two alternative pooling strategies yielded similar results. 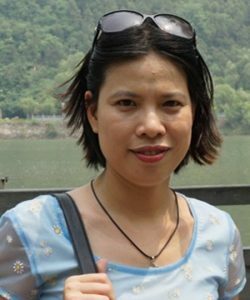 Dr. Phuong NTB have been worked as bacteriologist for 20 years. She have conducted molecular epidemiologic, drug resistant, and human susceptibility and diagnostic studies for infectious diseases (Tuberculosis, Aspergillus, MRSA/MSSA, ESBL producing bacteria…)..She also conduct other technical activities assigned by the project management committee and provide documents, templates, guidance, SOP, and other project support to the Lab team during the project implementation. She have technical and management experience in research design and implementation, data collection, analysis and triangulation for non-profit organizations.